You’re about to put your home on the market. You wonder if your house is really ready to be shown to buyers. You may think since you bought it and loved it, everyone else should love it, too. Be careful making this assumption, for the simple fact that you like the way your home is set up doesn’t mean someone else will appreciate your personal preferences in decorating. Herein is the beauty of home staging. 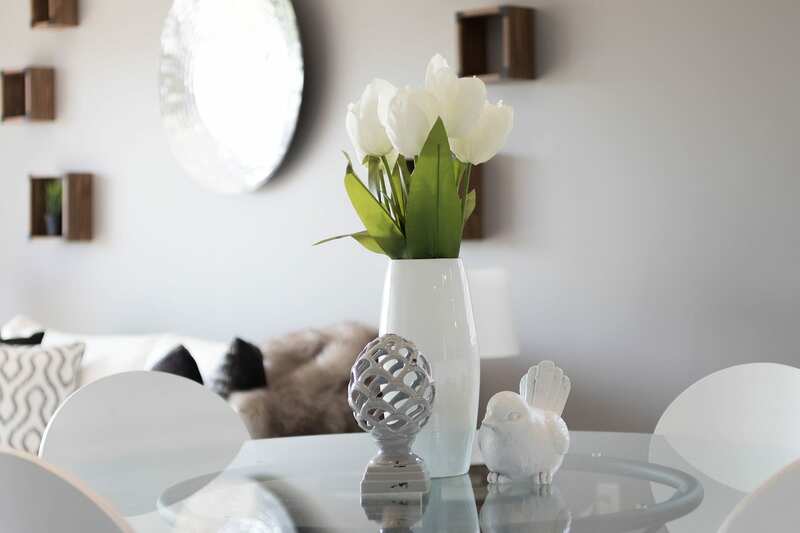 Home staging is the process of getting your home ready with a pristine appearance for a potential buyer’s inspection. This process is all about removing clutter, updating the home through renovations, repairing existing hardware, deep cleaning, and making it less personalized and more attractive to potential buyers. 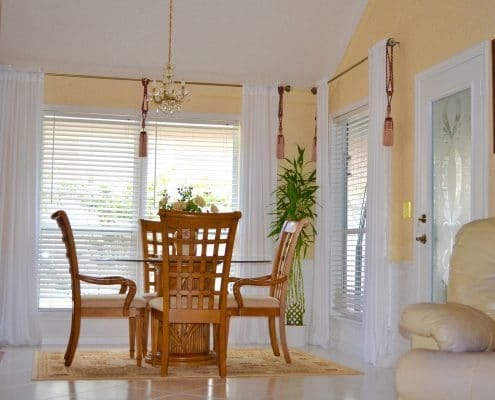 Your Homes for Heroes Real Estate Specialist can help you make the most of your home staging. The first thing potential buyers see when buying a home is the exterior. To make a great first impression, present a clean home exterior. When prospective buyers like the outside of the house, they enter excited and hopeful about the interior. Your exterior should appear attractive and be inviting. Give your home more curb appeal by power washing your driveway, walkways, and siding. Plant flowers and shrubs, and mow your lawn. You should also paint the porch if it looks worn. When potential buyers first walk in the door, you want them to feel welcomed. Make sure all the door handles are in excellent condition. You should have minimal items in the entryway. Make sure the foyer stays as clean as possible. In your dining room, keep the table clean. Placing decor on the table will give it a nice touch, but don’t go overboard. Three decorative items are more than enough to give your dining room the warm look you are aiming for, and it will create beauty and simplicity in your home. In your living room, create the impression that there is a lot of free space. This goal can often be obtained merely rearranging to suit the room size. Because most families tend to over-fill their living room, it may be necessary to remove some pieces of furniture or decor. Whether its furniture, photos, or other decorations, clutter makes the room seem smaller and less attractive. In your kitchen, remove everything except the bare minimum. Clean out your cabinets and leave only a couple sets of dishes inside, to give a size reference. The countertops should be clean and free of clutter, but you can add a few decorative pieces as an accent. Declutter under the cabinets and make sure everything is well-organized. Scrub dirt from kitchen cabinets to make sure there are no smudges. Removing the trash cans is a must as well. No one wants to see them when looking at a house. You want them to focus on the space, not what is within the area. You should also give your appliances a thorough inspection to make sure they are presentable. Updated appliances, such as stainless steel, give the home a more modern and chic look. Consider using neutral paint colors in the bedrooms. Neutral colors make a room appear more extensive than dark or bright colors, and they create a calming effect so that the buyer can imagine unwinding after a long day. Pack up all the items in closets that are not essentials, leaving only what is necessary. 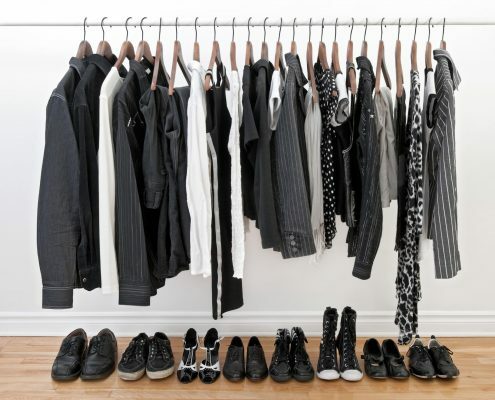 Tidy closets appear bigger than cluttered ones and will maximize the appearance of storage space in the home. Last but not least is the bathrooms. Make sure everything is sparkling clean. From the mirrors to the shower doors, everything needs to be spotless. Recaulk or regrout areas within the bathroom where required. Make sure to remove all personal items and store them elsewhere. You could even give your bathroom a relaxing spa atmosphere, with candles, fluffy towels, and a luxurious bath mat. If you have to replace the sink, consider a pedestal style, as this will give the room more space. If you are staging your house while still living in it, be sure to keep it clean. Although potential buyers may know that you still live there, they may be turned off by your laundry and other personal items, and you don’t want to give them any reason not to purchase your home. Lighting is another factor to consider. Ensure that there is sufficient lighting throughout the home. Use natural light as much as possible Accent with lamps or overhead fixtures where appropriate. Use light bulbs with wattage that is appropriate for the room’s square footage. Your house should be immaculate for viewings, so tell the kids to get ready for a family cleaning day for that deep clean after you move out. A deep clean will ensure that every nook and cranny is ready and that the house is in tip-top shape. Make sure your home smells great, too. Use scented candles or potpourri, and open the windows for fresh air flow. Professionals can be hired to show you how to stage a house, but for the average American on a budget, DIY is a better option. Having your friends pitch in and help with all aspects of this process will not only save you money, it will be fun to involve them. If you’ve already moved out of the home, you can purchase items to furnish the house, or you may want to accent your existing furniture and decor if you still live there. There are many ways you can stage your home on a budget. A great place to find affordable and decent furniture for staging is a thrift store or a resale shop like Habitat ReStore. Yard sales are great places to pick up items to use for your interior design, and they won’t break the bank. Do a complete, objective walkthrough of your house and imagine yourself as the potential buyer. What would you be looking for in a home? In what areas do you spend the most time? What would you not like to see? People tend to be emotionally involved when buying products, and buying a house is no different. In fact, more emotions are involved in purchasing a home because it is usually a buyer’s most significant investment. Leave a good impression on potential buyers, and you’re sure to sell your home successfully.